Khabib Nurmagomedov made headlines when he declared he’d quit the UFC if they fired his teammate Zubaira Tukhugov for punching Conor McGregor during the UFC 229 brawl. There’s been no announcement regarding Tukhugov’s fate from the UFC or the Nevada State Athletic Commission, but he has been officially taken off the upcoming October 27th UFC Moncton card against McGregor teammate Artem Lobov. Now Artem faces an arguably much tougher challenge with Tukhugov’s replacement: Michael Johnson. The match up was announced by ESPN’s Ariel Helwani on Sunday night. Johnson holds wins over some impressive names like Tony Ferguson, Edson Barboza, and Dustin Poirier. But the TUF veteran has struggled to stay in the win column against the top names in the division, going 2-3 over the past two years with losses to Khabib Nurmagomedov, Justin Gaethje, and Darren Elkins. That last fight against Elkins was in his featherweight debut. In August, Johnson returned and notched his first win at 145 pounds against Andre Fili in a hard fought split decision. Lobov is on a two fight losing streak with defeats to Cub Swanson and Andre Fili, but hasn’t made it into hte cage since October of 2017. A fight against Alex “Bruce Leeroy” Caceres at UFC 223 was cancelled due to his presence at Conor McGregor’s bus attack, and now his fight with Tukhugov has been switched with weeks to go due to a similar but more serious violation on Tukhugov’s part. 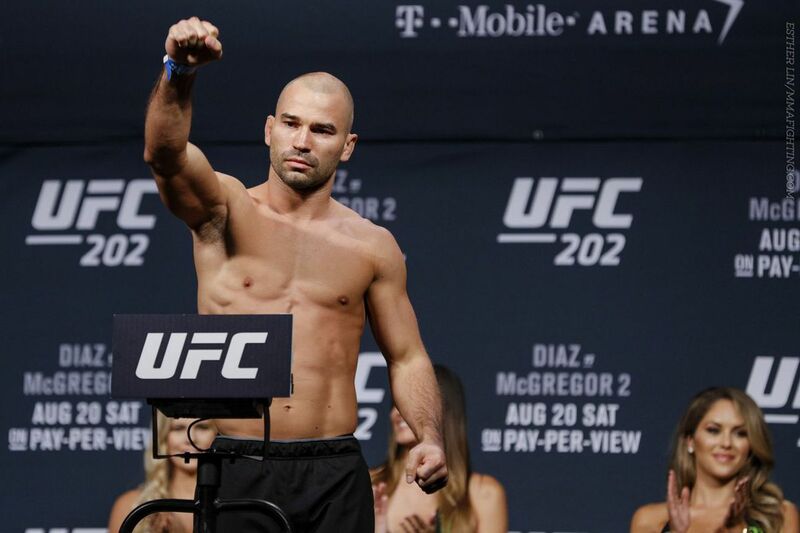 Lobov and Johnson will fight in the co-main of the event headlined by light heavyweight contenders Volkan Oezdemir vs. Anthony Smith.